Come celebrate all things Trains at the 150th Anniversary of the Golden Spike at National Train Day on May 11th. We are looking for family friendly food vendors for National Train Day. Space is extrememly limited. 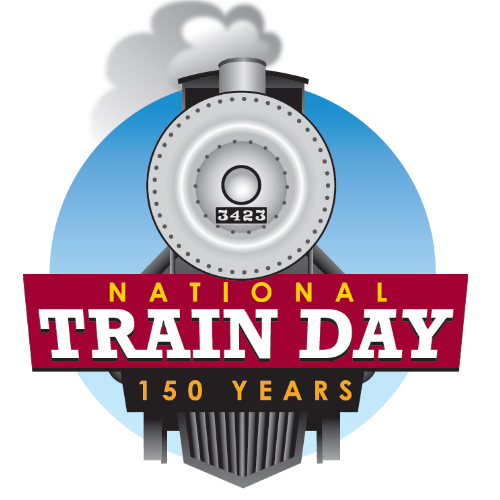 Celebrate National Train Day at the Temple Railroad and Heritage Museum, in Temple, TX. Activities will be taking place all day from 9am to 9pm during the “12 Hours at Temple” train-watching event. From 10am to 4pm family activities will be taking place at the museum with railroad crafts and games, giveaways from Amtrak and the Temple Visitors Center, vintage railroad equipment open to view and explore, barrel train rides, and fun photo opportunities. The CentraMod model train club will be operating their model trains all day in the nearby Moody Depot and be hosting a train-watching area next to the tracks. Attendance last year was close to 3,000 people! We would love to have local community vendors out at the Depot to help us celebrate. © 2019 Central Texas Tickets. All rights reserved.